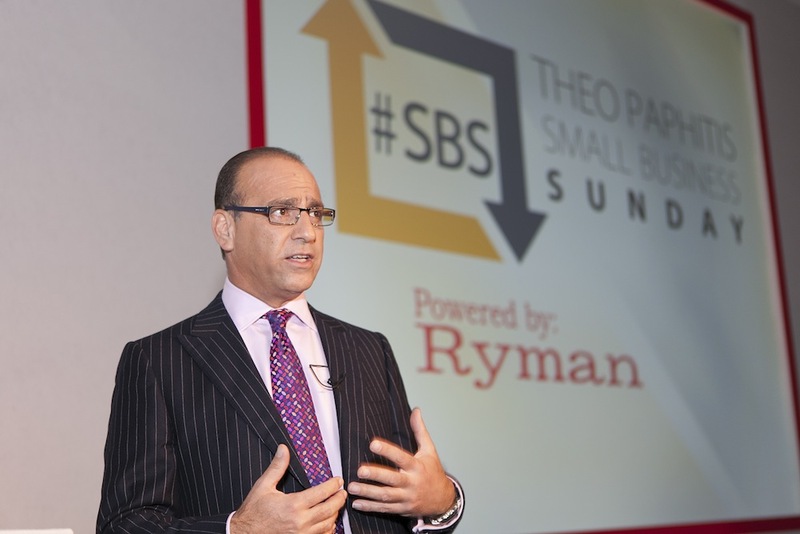 Theo Paphitis, top businessman and of BBC's Dragons Den fame is doing his bit to support Small Businesses via his ever growing #SBS (Small Business Sunday) competition and re-tweets. Every Sunday evening between the 5pm and 730pm small businesses tweet him with details of what they do and the dragon chooses his top 6 each week. On the 11th of December 2011 Brighton born entrepreneur, Amanda Pipe 26, was honoured to receive a coveted re-tweet of her mobile crèche company; Crèche on Location, which provides staff, toys and equipment for childcare at all size events. Crèche on Location based in West Sussex was established in 2008, after Amanda spotted a gap in the market and decided to put her wealth of childcare experience and qualifications into fulfilling her dream of running her own business. Initially, Amanda generated bookings successfully through networking & recommendations, of networking meetings she says "I feel it is important, that clients can get to know us. After all we look after what is most precious to them." However, when Amanda was pregnant with her second child, attending networking meetings became near impossible especially with her toddler in tow, so she needed to find another way to reach her potential customers. Like all other SME's, who have to tighten their belts in this financial climate, she had to look for the best most cost effective ways of getting noticed and that is where social media stands out. 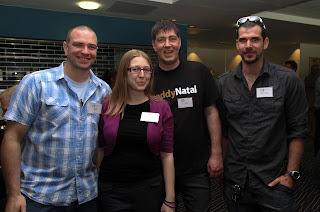 Since becoming active on Twitter in September 2011 Amanda has found it has become the companies’ lifeline and is without doubt the best marketing tool she has. On Friday 30th March 2012, all the prev ious winner of the #SBS of the past year were invited to the inaugural event at Edgbaston, Birmingham where they got to meet the famous Theo Paphitis and take part in a question and answer session with him, during which he said about being lucky "It's funny, the harder I worked the 'luckier' I got." This also summed up his approach to picking #SBS winners "I look for interaction, persistence and if you've done the basics, like having a website." To co-inside with the launch of an exclusive theopaphitissbs.com website, Crèche on Location has re-launched their own site www.crecheonlocation.co.uk highlighting the core value of clients knowing who they are by having bios and multiple lines of communication with key staff (including, of course, Twitter Accounts). "As a mum of 2 young children, I would want to know who is looking after them." Crèche on Location headquartered in West Sussex is the most effective way to offer childcare at events. It allows the organisers the confidence to offer their guests this extra service without the responsibility of regulations, staffing, health and safety. Each Week I am hoping to bring you a guest post from an SBS (Small Business Sunday) Winner, a showcase of small businesses! So here is the first, let me introduce Katherine from Made with Love Designs. My name's Katherine Brookes and I run my own handmade greetings card business Made With Love Designs. 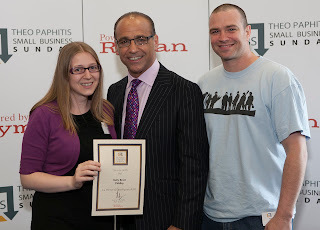 Recently my business has been recognised by one of the guys from the show Dragon's Den Theo Paphitis. 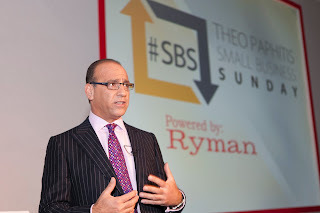 Every Sunday I enter #SBS on twitter which is run by Theo and stands for Small Business Sunday. All you have to do is tweet @theopaphitis with a short summary of your business and add a link to your website and add #sbs. I had entered every week for a few months with no luck as had a fellow tweeter Martina from @mycraftycandles. On Sunday 25th March I decided that before I entered my own business I would nominate hers. I wasn't even going to enter my business and as it happens I didn't need to because my nomination did the trick and at 21:17 he RT'd me and he also RT'd Martina too!! Typically the one night I let my phone battery die because I couldn't be bothered to charge it I miss all the excitement and only realised I'd won when I plugged my phone in and saw all the congrats messages at around 22:00!! I could not believe what I was seeing, hundreds of messages of congratulations! An amazing, overwhelming sense of achievement and surprise! The Sunday I won my #SBS was the last chance to get tickets to the #SBS Winner's event which was held on the 30th March at Edgbaston Cricket Ground in Birmingham. We arrived for around noon and had some time to meet other winners before being seated for Theo's presentation. He was great and such an inspirational guy. During the presentation the brand new SBS winners website was launched by the fabulous Chris Wheeler of Metalfrog Studios. The website holds the profile of every SBS winner and because I was one of the last 6 winners I had the opportunity to add my profile ahead of the launch. It was a great feeling to have my company logo up there on the big screen. After the presentation every winner then had the opporunity to have an official photograph taken with Theo and we were given our winners certificate. This was a fabulous ending to the event and I felt very honoured and proud to be there. Following my win my business has picked up and I have had few more orders. Website hits have increased and I generally feel more inspired and creative and I now want to push my business to the next level. Made With Love Designs is currently run part time as I still have a full time day job. One day I hope my business will enable me to become self employed and live my dream. Small Business Sunday - We're in! Time to tell a story, a story of an invitation we couldn't turn down, a story of a Dragon and a story of a stepping stone to the future! 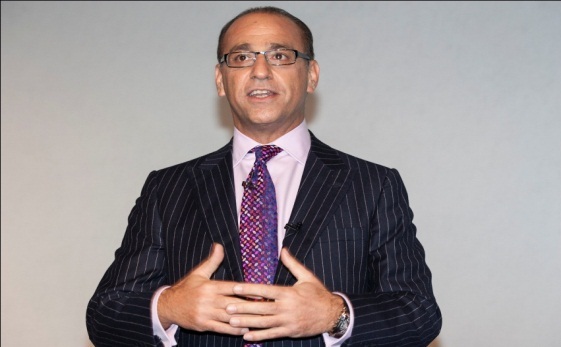 This story is of last Friday, when we headed over to Edgbaston Cricket Ground for the Small Business Sunday (#SBS) Event hosted by BBC Dragon, Theo Paphitis and Ryman Stationary! Once upon a time, well last year on 31st July, Piddley Pix was chosen as one of Theo's Small Business Sunday Retweets on Twitter. Each week the BBC Dragon picks 6 small businesses to tell his twitter followers about. This year on 30th March Theo invited all of his SBS Winners to an event to meet each other and of course him! On arrival at the venue, we were showed into an impressive room overlooking the cricket pitch, and with the offer of a drink, it was the perfect start, a chance to say hello in person to people we had been chatting to for a while on twitter, meet new people and network! We were able to finally say hello to Sarah from Silver Birch Crafts in real life, we spent time chatting to Dean from DaddyNatal and met the lovely Amanda (and her husband Damian) from Creche on Location - to name but a few! So, what happened next, well we were all taken into 'An audience with.....' The event was introduced by Kyros Kyprianou, the Chief Executive of Ryman Stationary (sponsors of the event). What a lovely man, the passion for business and the want to support us small folk shone through! Next up was the main man, he took to the stage and talked to us about business, Small Business Sunday and more. He was so down to earth, so easy to listen too, and he really knows his stuff, oh and he has been on Telly!! Theo then took questions from the floor, people asked how to break into the UK market, what Theo thought of the high street and how does he pick his #SBS winners (nope I am not telling!). Theo then even asked questions to us! 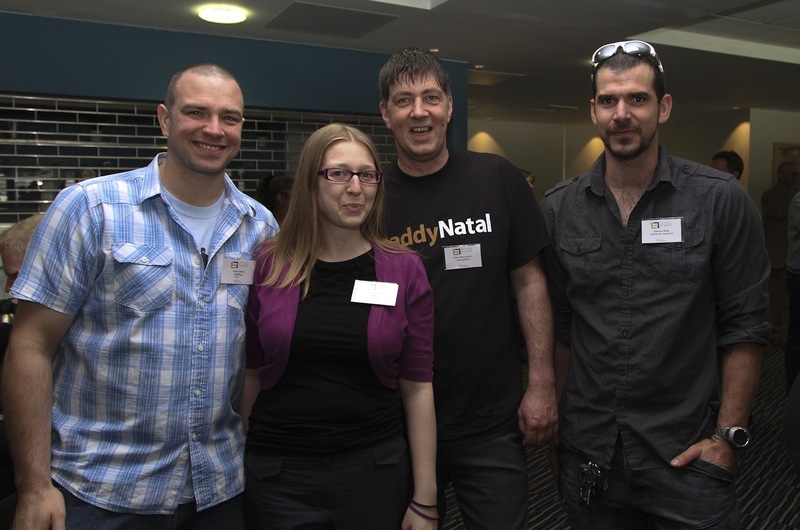 We had a great day, ending with a drink and some more networking, we had chance to catch up with Neil and Jane from Kidz outdoors and Ellie from Baby Duck Shop and Theo then had a photo with each business, what a nice guy (he even managed to keep the smilie going until the end)! There was so much talent in one room, so what did we really get out of it, well, we learnt more about what we knew, gained a new motto '3 Ps - passion, planning and perseverance', a kick up the bum for our re-launch (coming VERY soon) and a chance to mix with some fantastic people! As we left we met another Theo, he was slightly greener but just as lovely and definitely worth a mention, so meet Theo from Harrogate Motorhomes! 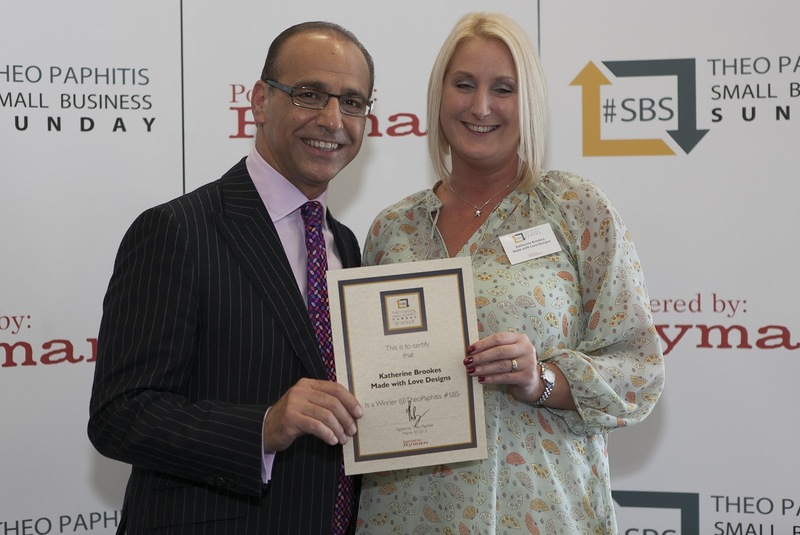 There will be a bigger post coming soon about the Small Business Sunday (SBS) event we attended, but we just wanted to share a little peak at a picture of us with the Lovely Theo Paphitis! This is our official photo from the day, receiving our certificate to confirm we have been an SBS winner! Look out for a post about the day coming soon!